So yeah, just typing that title was hard to do. I know it’s going to happen, but I’ve never said that sentence out loud. And as my wedding draws closer, the reality sinks in just a little further. I get married in under two months. I know it’s going to be the most amazing day, and that my father would be happy for me. But I’m dreading those moments where it feels like he’s missing and my heart starts to fall apart. Luckily I’ll have my new hubby to help put it back together. I’m almost mentally preparing for the hardest moments. But the thing is, when it comes to grief, you can’t prepare. It doesn’t always hit you at the most logical times. I might get through the bits I’m predicting to be difficult, and then burst into tears at a small passing comment by a guest. Who knows. I can’t know when I’m going to get upset, but I can consider how I want to process things on the day. I’m not going to hold back the tears if they come, which they no doubt will. Thankfully my makeup artist is a wedding guest, so she can help sort my face out if it gets covered in tears. But, in advance of the day I’m trying to think about all the positive things. Like how my dad would be so happy that I’ve found someone like Will to share my life with. He never got to meet him. But I know in my heart that he’d love him to bits. My dad had a knack for silently knowing which boyfriend’s weren’t right for me. And he wasn’t the ‘my daughter’s too good for any man’ type dad. He was fairly relaxed. All he cared about was that I was with someone who treated me well, and matched my personality. When Will plays his guitar quietly to himself it makes me feel at peace. It reminds me of when my dad used to play, and in a small way I feel like this connects them both. I will also be thinking about how he obviously wouldn’t want me to spend my entire wedding day sobbing sad tears. He’d want me to enjoy the day. So that’s what I’m going to try and do. 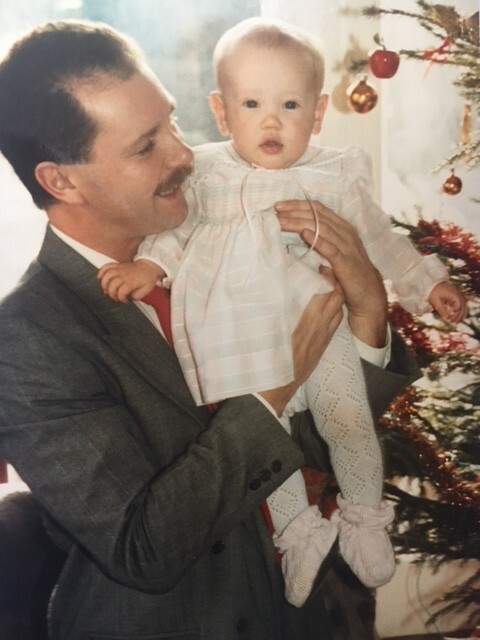 I’ve also planned lots of little ways to make it feel as though my dad is still part of the day, I wrote a blog post about this a while back. I think on the day I’ll notice these things and use them as a chance to honour him and spare a thought in his absence. As much as I will miss my dad, and as badly as it will hurt – my wedding day is about marrying Will, and the love that we share. So I’m going to try my very best to focus on that, so that my dad, wherever he may be, in spirit, he will feel how happy and in love I am. That’s my goal. Plus, I’ve got the rest of my family to get me through the day, as well as a couple of friends who have had to do the exact same thing as me. I can always grab a quiet moment aside with Will, or with my mum or sister, and process how I’m feeling. I know that by far the most difficult part will be walking down the aisle. It’s so iconic isn’t it? That walk on your father’s arm. Or in my case, it will be with my little sister, and then my mum. My sister is going to wear my dad’s leather jacket, which will make me feel like he’s there in a way, making that walk with us. 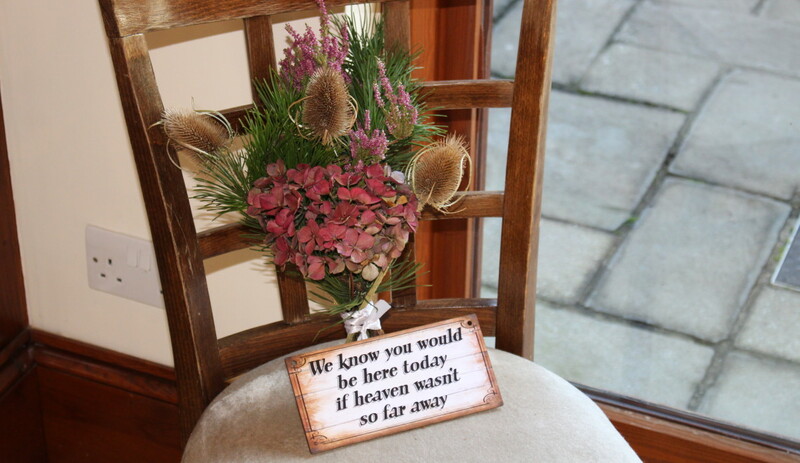 My mum will give me away on his behalf, and there will be a chair at the front in his memory. He might not physically be sat in that chair, or next to me as I walk down the aisle, but to help me share this day with him, I’m going to try and imagine he’s really there in spirit. In fact, I’ve got an odd feeling I’m going to feel his presence in some special way. There will be a moment where it feels like he’s gliding above the room, or standing proud right next to me, shedding a tear as he sees me so happy. My heart aches as I write this and I know going through my wedding day without my father will be the hardest thing I’ve ever done. It will be an enormous challenge in my grief journey, and it’s something I’ve been deeply sad about since the day my father passed. But my grief has changed a lot since then. It’s taken on a new form. The pain never goes away that’s for sure. But instead of feeling like I’m living without my father, I feel like I’m living with him as a small part of me. A piece of my puzzle if you will. I know wouldn’t be where I am without his memory driving me forwards. And hopefully his strength will enable me to stand strong and tackle my wedding day beaming with pride and respect for a father who left such a deep and powerful mark on me. 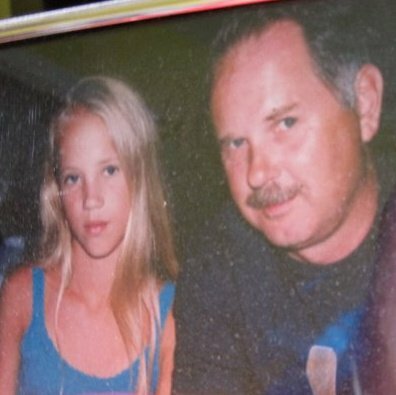 Love you daddy, always have, always will. How Do You Mourn Someone When Their Death Could Have Been Prevented?